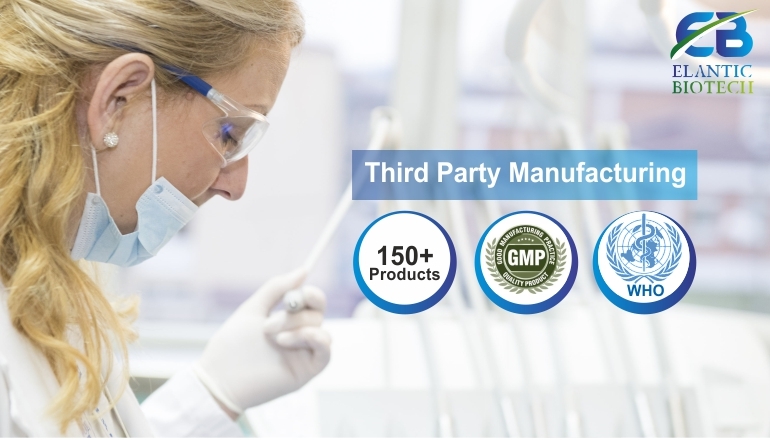 Elantic Biotech is a leading pharma company offers third party manufacturing for domestic and export formulations with state-of-art manufacturing facilities confirming to WHO GMP standards to ensure quality products at all times. We up hold quality measures at all stages from material procurement, process optimization, formulation, testing and stability. Our motto to serve the health of people via the counter of the Retail Chemist having wide range of products in the healthcare segment. We are manufacturing and get manufactured products under Drug, Food, Cosmetics & Ayurvedic Herbal Licenses. QUALITY POLICY :We think quality not to achieved by doing different things It is achieved by doing things differently The totality of features and characteristics of a product or service that bears on its ability to satisfy given needs. OUR MISSION :Our mission is to assist our clients in presenting a professional front to the marketplace Our mission is to discover, develop and successfully market. OUR VISION:We want to provide our clients with services of the highest quality beat their expectations and protect their interests like our own. To teach remunerate and maintain our hardworking employees and co-workers.